To be honest, I am not sure how politics hijacked my life during my brief stint in Chile in 2010. It must have been related to the upcoming run-off elections for the presidency between Eduardo Frei and Sebastian Piñera because politics seemed to manifest itself everywhere – at every street corner; in every conversation. Attending a Spanish language program with other US students at a local Chilean university, I was a bit surprised when classes took a very strong anti-USA rhetoric. Every single day, our (language) professors talked about US imperialist mentality. I believe that at least one writing assignment was to outline the unwanted involvement of our country in Latin America. (We were given the opportunity to write more essays on the topic for extra credit.) We also sang Cuban socialist-themed songs – all in the name of practicing the subjunctive tense, of course. After class, I would go “home” to my Chilean host family, who had a comfy apartment in the middle of town, where I would hear an entirely different narrative on the country’s history, culture, and politics. (I will admit, I was a bit surprised when I first saw the framed photograph of Augusto Pinochet displayed in their home, but I got over it pretty quickly.) Indeed, my favorite memories in all of Chile were spent talking to my host parents every day at the dinner table, often drinking coffee late into the night, as they shared with me their experiences. Needless to say, all of these opposing views came at a head when I was at an outdoor market with my host family and saw some Che Guevara memorabilia. I picked up something and raised my voice to start negotiating the price, when I heard my host father come up and say, “Don’t waste any of your money on that trash. Look at him – the socialist hero, and now he has become the ultimate capitalist money-making symbol with his face branded on coffee mugs and t-shirts made in China!” Some of you probably will not know this interesting tidbit: Che Guevara actually tried to incite revolution in the Democratic Republic of the Congo. And no - his socialist revolution was not successful. Apparently, the fight against the bourgeoisie culture just could not really take off where 80% of the country survived through sustenance agriculture: “The Cuban revolutionary Che Guevara spent almost a year in the Congo in 1965 fighting with rebels in the east before he abandoned the struggle. Malnourished and depressed, he concluded they ‘weren’t ready for the revolution. 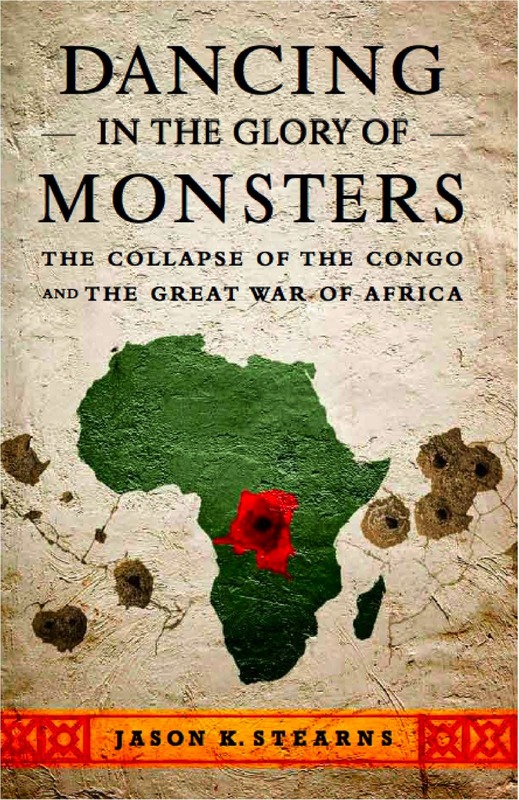 The Congo has always defied the idealists.” (page 9) I learned this interesting tidbit in the book I read about the Democratic Republic of the Congo (also called the DR Congo), Dancing in the Glory of Monsters: The Collapse of the Congo and the Great War of Africa by Jason Stearns. Published in 2011, it was deemed “A Best Book of the Year” by The Economist as well as by The Wall Street Journal. This book only briefly covers DR Congo’s history, including Che Guevara’s failure there. 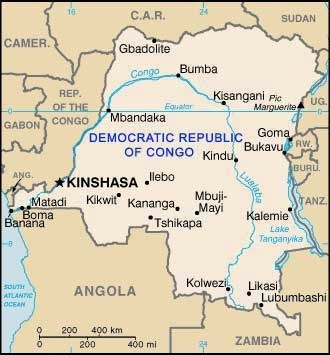 However, DR Congo is not well known for its failed socialist revolution, but rather as the setting for Joseph Conrad’s (no familial relation there – I checked) famous novel, The Heart of Darkness. Originally a Belgian Colony, DR Congo was ruled by King Leopold absolutely. Even more, he utilized the country’s resources as his own personal bank account and extracted wealth from it mercilessly solely for his personal gain in the latter half of the 19th century. The Belgian Congo was finally granted independence in 1960, after which it was divided into four separate states. However, the region was plagued with conflict until 1965, when Mobutu Sese Seko gained control of the country through a military coup. Changing the country’s name to Zaire, he ruled authoritatively for the 31 years to follow. The Congolese War can actually be divided into three separate conflicts: The First Congo War ended with the toppling of the dictator Mobutu in 1997. The Second Congo War began in 1998 and lasted until 2003. However, there continues to be conflict and fighting in the eastern Kivu region of the Congo until this day – resulting in an ongoing humanitarian crisis, a documented in this brief video by the Guardian. Politics is quite hard to understand these days and politicians have made this phenomenon quite hard too for the people, that is why I am least interested in politics.